There’s a concern (here, here, and here) voiced by some reputable websites that taking evening primrose oil might make seizures more likely in some people. 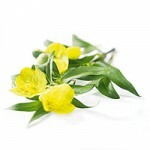 Seizures have been reported in people taking evening primrose oil. There were 193 adverse reactions to evening primrose oil reported from 1968-1997, including convulsions, aggravated convulsions, facial edema, and asthma. It was suggested that evening primrose oil might increase the risk of seizure when used simultaneously with anesthetics or antipsychotics (eg, chlorpromazine [Thorazine] and trifluoperazine [Stelazine]) and may lower seizure threshold when used with anticonvulsant agents or stimulants. Reassessment of the 3 patients in the 1981 study revealed they were simultaneously taking evening primrose oil with phenothiazines (antipsychotic and antihistaminic) — known to lower the threshold for seizures. All 3 patients were re-diagnosed as suffering from temporal lobe epilepsy and not schizophrenia. In a 1983 study, of the 2 of 23 patients with schizophrenia who developed seizures while taking evening primrose oil, both were also taking fluphenazine (Prolixin), which was replaced with chlorpromazine in 1 patient. Both drugs are classified as phenothiazines. Furthermore, a relationship between schizophrenia and epilepsy is proposed. It takes a mile of work to reverse an inch of rumor. Even then, the rumor remains. This entry was posted on Tuesday, July 9th, 2013 at 10:21 AM	and is filed under Epilepsy/Seizures, Evening Primrose. You can follow any responses to this entry through the RSS 2.0 feed. You can leave a response, or trackback from your own site.